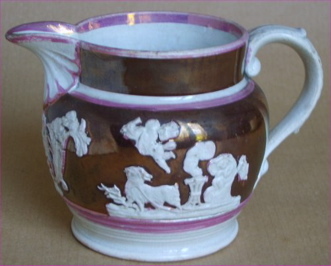 English soft paste pearlware jug with copper lustre bands, pink lustre trim and applied low relief classical decoration of frolicking cherubs and animals. 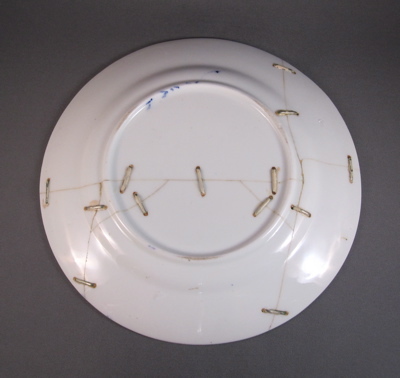 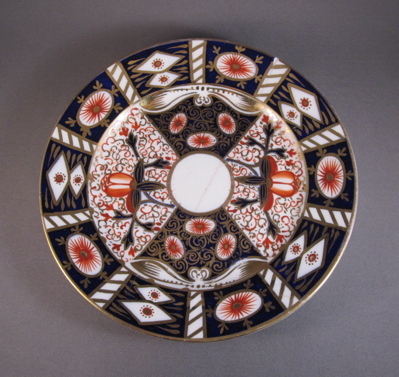 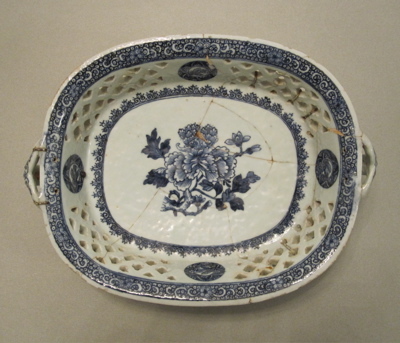 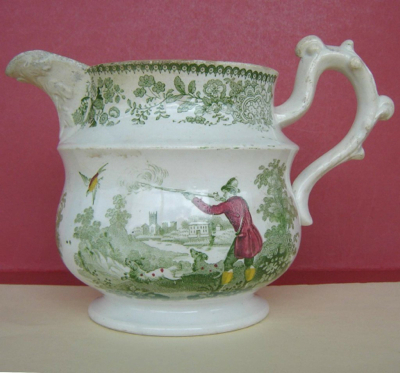 It was most likely made by Wedgwood around 1820. 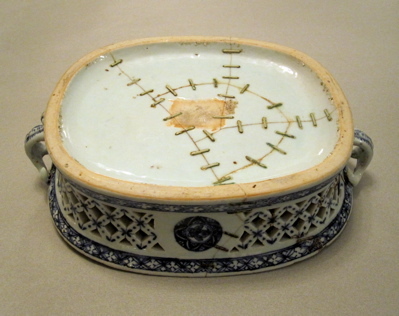 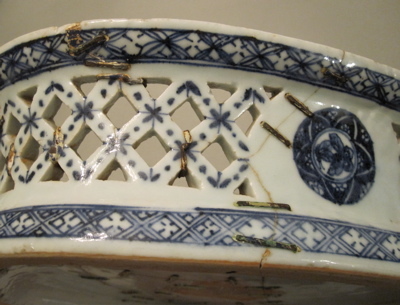 The Metropolitan Museum of Art in New York City is home to many examples of antiques (and antiquities) with inventive repairs. 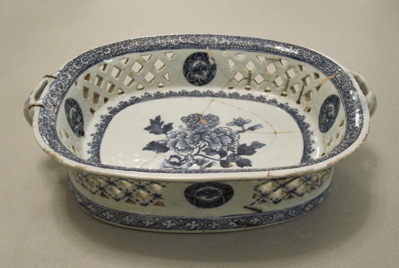 Some are on display for the public to see and many more are buried away in their vast archive collection. 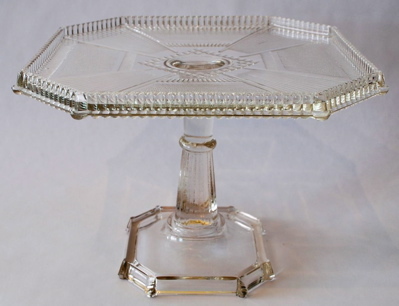 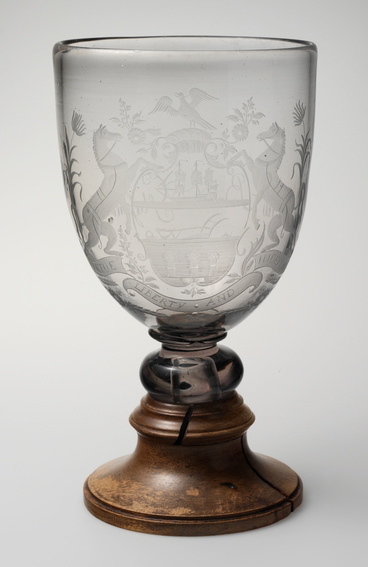 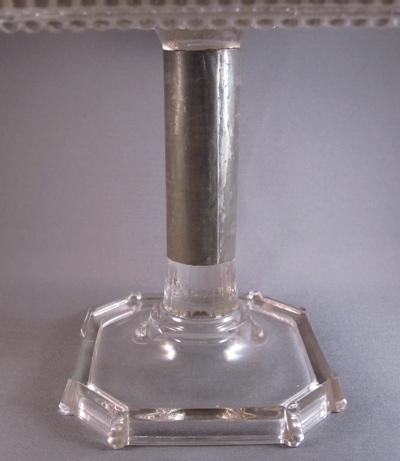 This blown and engraved glass presentation goblet is inscribed in script on the back: “New Bremen Glassmanufactory, 1791” and is inscribed on the base: “Presented to Thomas Mifflin, Governor of Pennsylvania”. 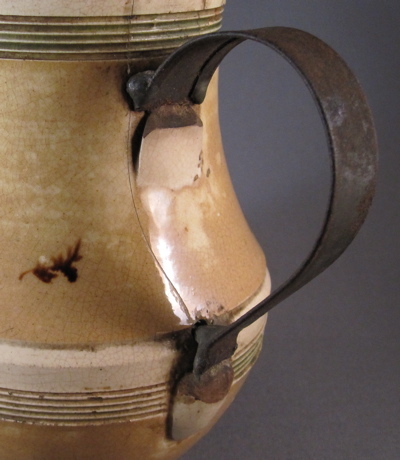 It was made by John Frederick Amelung in New Bremen, Maryland and measures 10″ tall. 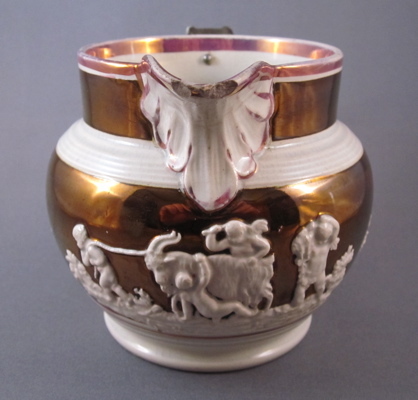 This goblet can be seen in the American Wing in a showcase on the second level. 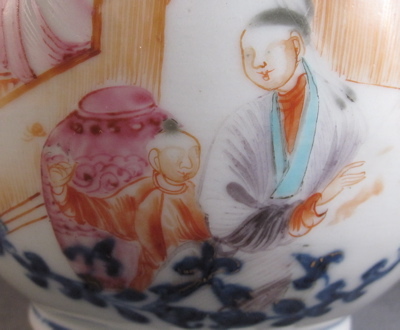 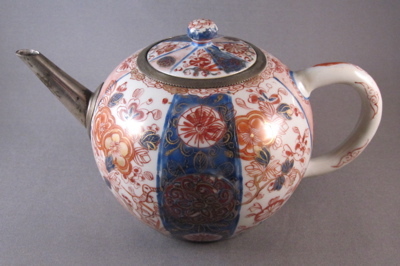 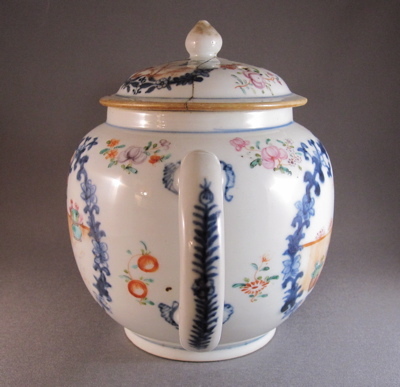 Chinese export globular form porcelain teapot made in China in the late 1700’s and painted with polychrome underglaze enamels in the Mandarin palette. 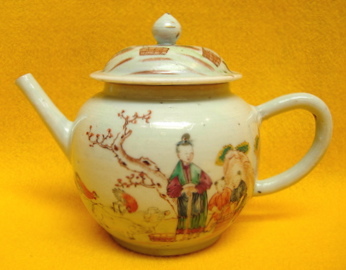 Teapot measures 6-1/4″ tall by 9-1/2″ wide. 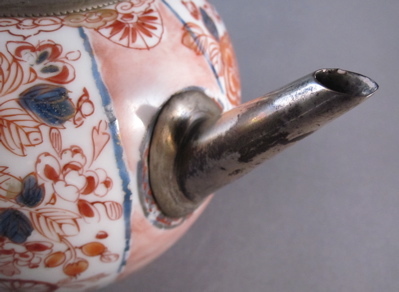 This unusual Rococo style silver replacement spout was added after the original spout broke off. 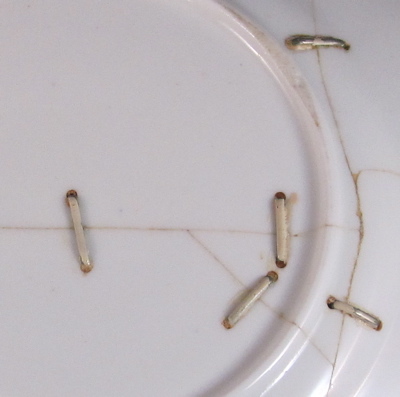 As an added bonus, the chipped lid is repaired with three metal staples. 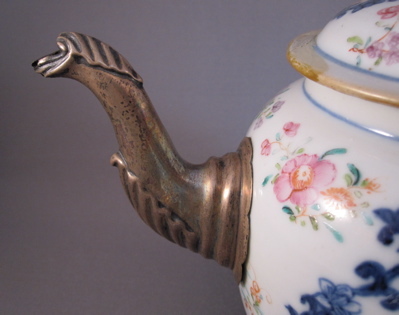 The teapot below shows what the original spout on my mended teapot would have looked like. 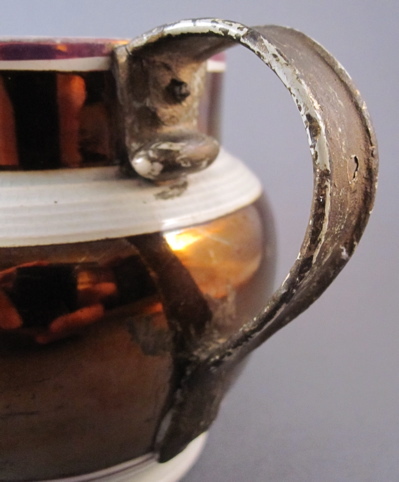 and a single metal bolt to hold together one of the handles, for a surprising total of 52 separate repairs. 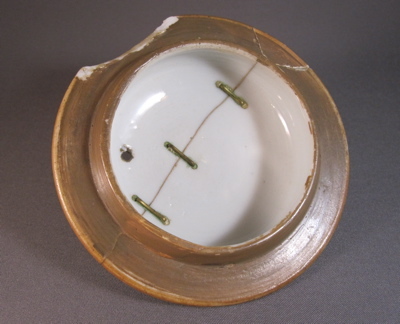 So far, this basket holds the record for the highest number of staple repairs on a single piece! 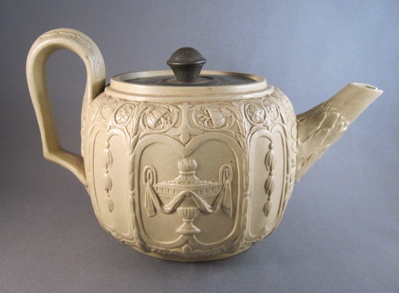 English stoneware pottery teapot with neoclassic molded relief panel design. 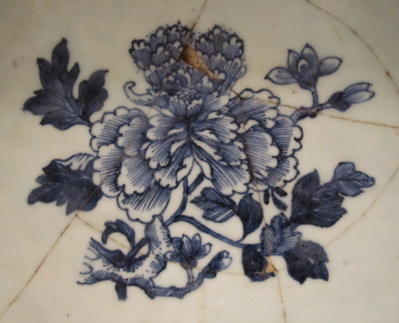 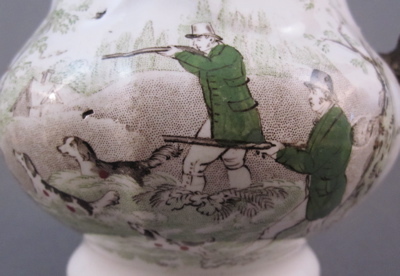 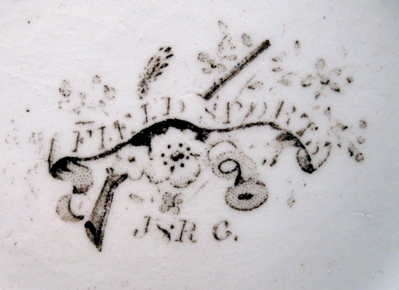 This form was copied from a c.1790 Spode caneware teapot, which they had copied from Neal & Co. a few years earlier. 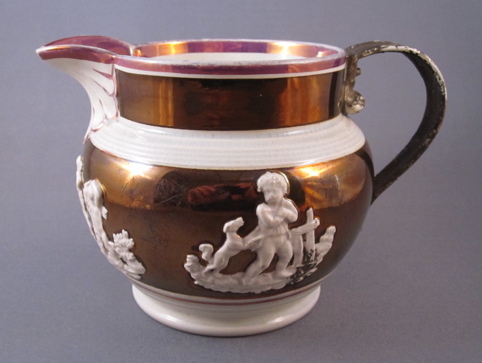 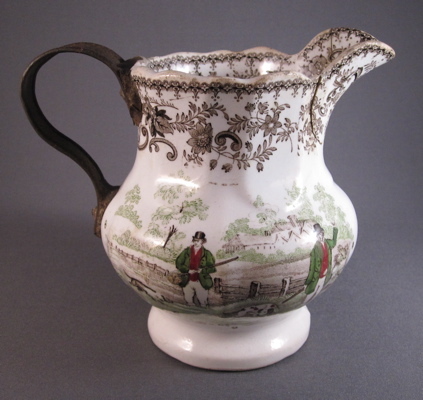 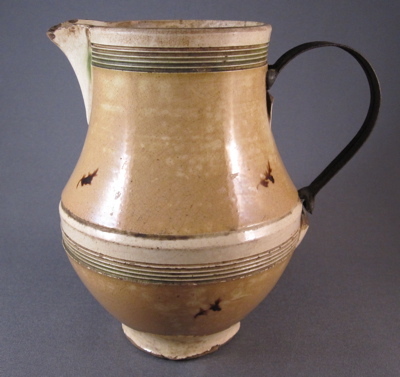 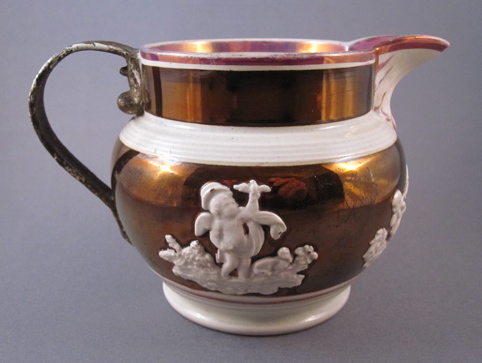 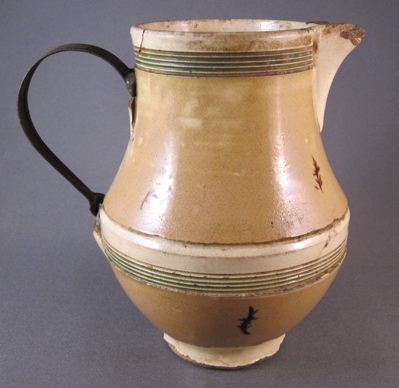 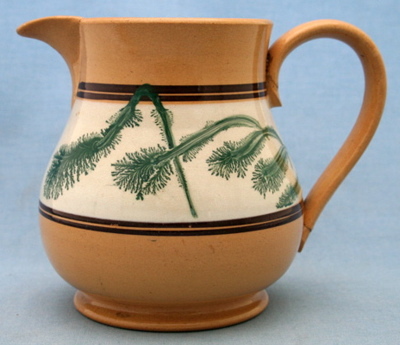 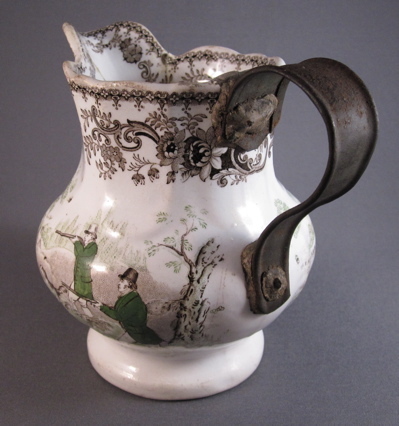 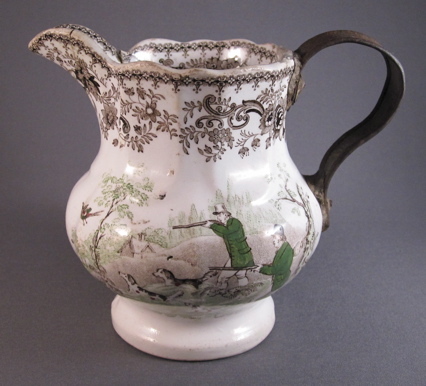 It was not unusual for manufacturers to “borrow” designs from each other and they would usually vary the spout or handle design just a bit to make the designs more unique. 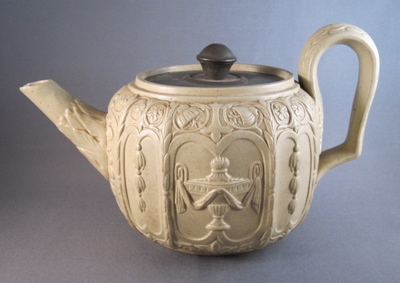 Teapot measures 5″ tall and has an identical urn with swags motif on both sides. 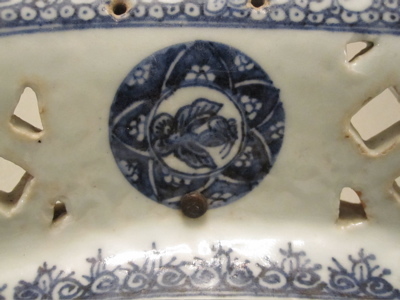 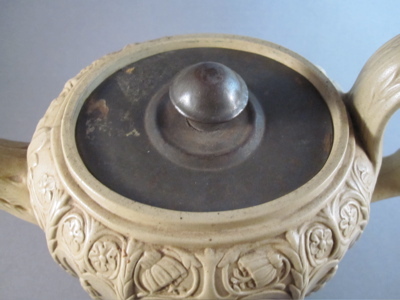 An existing metal lid from another object was trimmed to fit this teapot, after the original stoneware lid broke. 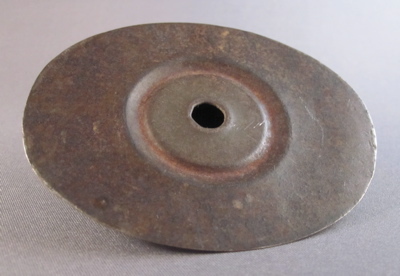 The underside of the flimsy metal replacement lid. 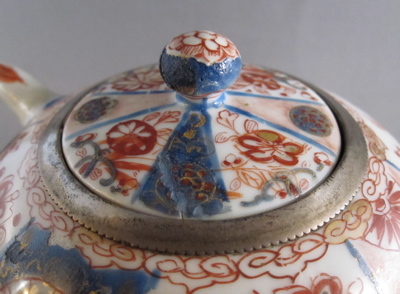 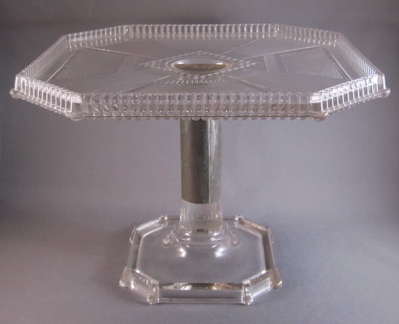 The photo below shows what the original lid would have looked like, before it was replaced by the metal lid. 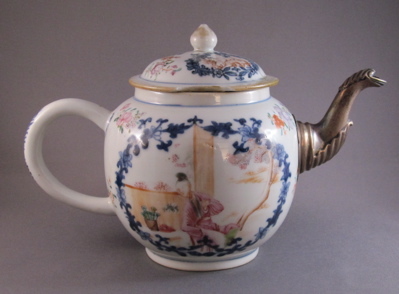 The teapot on the top was made by Neale & Co. and dates from 1778-92. 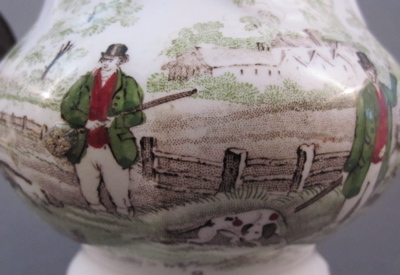 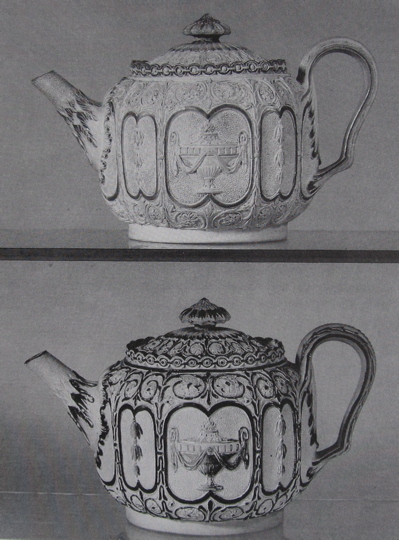 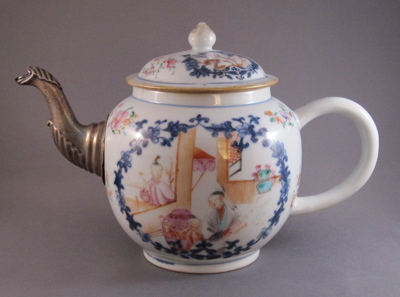 Spode made the bottom teapot, dating from 1790. 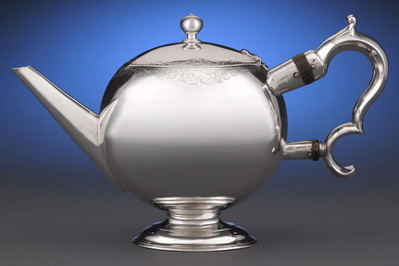 From the book “British Teapots & Tea Drinking” by Robin Emmerson, published in London by HMSO in 1992.